Spiritual healing, or spirit healing, is not new. It is something that has been around for thousands of years, but it has become widely known through the Spiritualist movement, especially in England. No healing ever comes just from the healer. It is the healing force and energies coming from "Spirit" via the medium of the healer, which effect healing in a patient. The word "spirit" may sound spooky and weird, but "spirit" is often used as a generic term to collectively describe the Higher Being and sometimes those souls on the 'other side', who come to assist with healing. These are loving souls who still wish to be of service to humankind. They may be Guides, or they may simply be people who were doctors or healers in their last earthly incarnation and still wish to continue this healing work. There are two 'types' of healing in practice. In both cases, the healer is aware of an endless supply of healing energy flowing through them from the Higher Source. The healer and the healer's physical body act as a conduit between spirit healing energies and the patient. In the second case, the spirit guides or doctors may "overshadow" the healer, subtly directing the healer's hands to certain places on the patient's body where healing can best be effected. There are many demonstrated cases where Spiritual Healing complements traditional medicine. Spiritual Healing is not an alternative to traditional medicine and if you are unwell then you should still consult your doctor or healthcare provider. 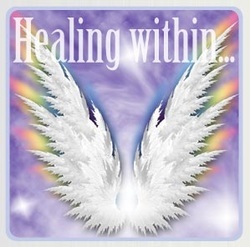 If you are in need of healing and feel that we can assist - please do click the button below to send a message.